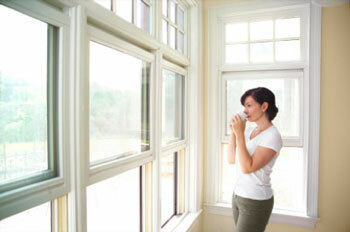 Having clean vents in your home or office is key to ensuring healthy air quality. At Protocool, we understand how important it is to breath clean, safe air in your Pembroke Pines area home or business. By thoroughly cleaning your air ducts, you reduce allergens, such as dust, mold, bacteria or pet dander, that are in the air. After your air ducts are cleaned by the highly trained professionals at Protocool, you family will be breathing easier! Not only will there be less indoor air pollutants in your Pembroke Pines area home, but you will also notice less dust collecting on furniture. The air quality in your Pembroke Pines area home can be negatively affected by numerous factors. One primary source of indoor air pollution may be dirty air ducts. Dirty air ducts may have a build of of dust, bacteria, fungi, pet hair, pet dander, mold, and other contaminants. If you have dirty air ducts, these contaminates circulate through your Pembroke Pines area home each time your air is running! This can have harmful results, such as allergies or asthma, sinus issues, eye irritation, and stale odors in your home. Air duct cleaning, when performed by the professional, trained technicians at Protocool can rid your air ducts of these contaminants. After your Pembroke Pines area home’s ducts are properly cleaned, the air circulating in your home will be restored to a clean, healthful condition. Contact us today at 754-212-9309 to receive an estimate for your Pembroke Pines area air duct cleaning service needs!